With our fleshly finished demo, we went to a demo party. 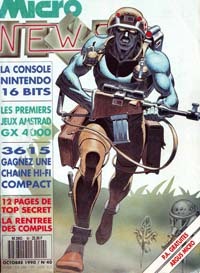 This one was maybe the first held in France. A « demo party » is a place where people meet, discuss and create demos. Usually there is also contests during the time of the party. So we went to Saint Quentin (in the north of France) on the 25 August 1990. Johnny B came with me. 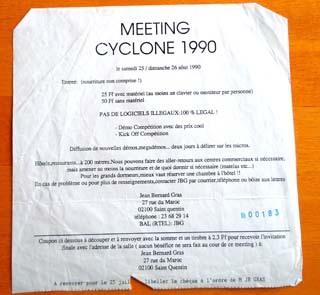 It was the « Cyclone demo party ». We went there without our machine. Before presenting our mega demo to the competition I tried it on the Amiga that will be used and the demo had many bugs !!!! In fact the Amiga used for demo competition had only 512 kb of memory and a standard « Agnus ». 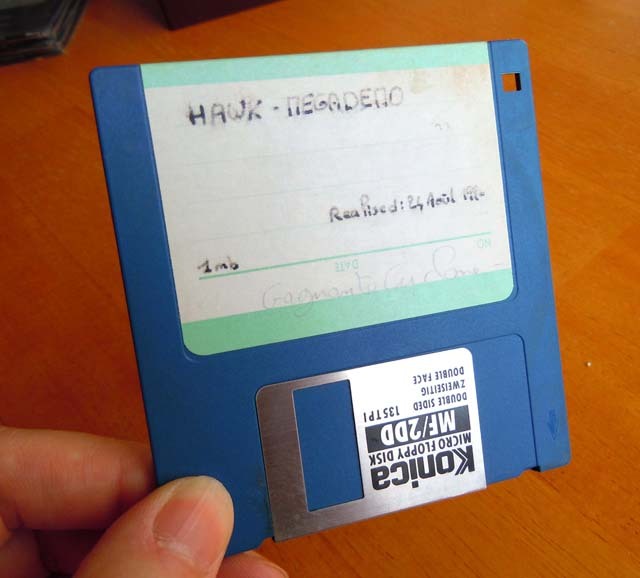 Our demo required 1Mb if memory and a « Fat Agnus » equiped Amiga. So I talked to all people there and tried to find someone using that kind of Amiga. Hopefully I find someone with a corresponding Amiga and he was ok to lend it for the competition. Later he’ll said to me that he was working for a magazine and that he’ll write an article about the party. There were 4 demos in competition that day and we won the first place. We were really happy and went back with some money (demo competition are usually granted by money). We also met lot of nice people there, like Frederic « MOBY« , which is an excellent french musician (his today name is « el mobo« ). That’s was a really nice day! Micro news 40. October 1990. « … As I meditate like a guru in front of a demo of « Passion », a humanoid approached me to inquire if I have a mega byte and a fat agnus normal on my machine. I did not found any info about party results. If anyone have info about it, just tell me. 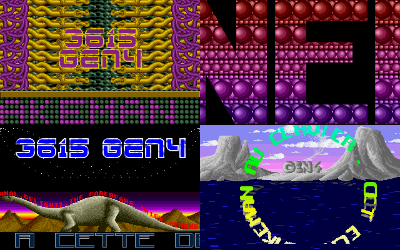 Cyclone – Depeche Mode (Amiga Music Disk). ST01 sounds flavour 🙂 Again some Depeche Mode inspiration. As I did not find any prod presented at the party, I’m going to speak about another event. The french magazine « Generation 4 » organised a demo contest. 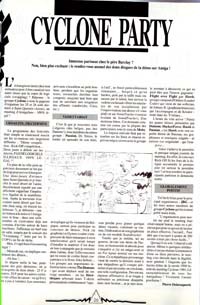 The contest goal was to create a demo for amiga or atari st showing info about minitel (kind of french internet) « 3615 GEN4 ».